There is no better way to make meaningful connections than to experience Israel and other overseas Jewish communities for yourself. Federation offers a variety of travel and work opportunities for people of all ages. Jewish Federation of Greater MetroWest NJ missions are travel experiences unlike any other and are for people of all ages and all interests. Join us as we explore the past, present, and future of the Jewish people in locations as diverse as Israel, Poland, Cuba, Argentina, Cherkassy, Italy, and Former Soviet Union. Learn more. 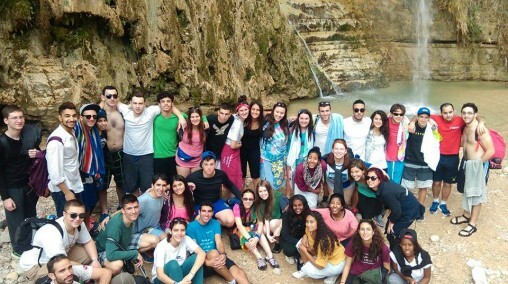 Jewish Federation of Greater MetroWest NJ is proud to partner with Israel Experts to provide the gift of fun, exciting, and FREE 10-day Taglit-Birthright Israel trips each winter and summer. Whether you’re originally from Greater MetroWest, or just working or studying here, we welcome young Jewish adults between the ages of 18-26 to join our trips! Learn more. Looking for a teen leadership program with a focus on Jewish identity and growth? Diller Teen Fellows Program is an international partnership that inspires and empowers Jewish teens to be active, effective leaders with a strong Jewish identity, a sense of belonging to their community, the Jewish People and Israel, and a responsibility to the betterment of the world. Learn more.